In this current political climate filled with division and polarizing views, the topic of abortion is a topic that is uncomfortable and often times a topic that is difficult to discuss. 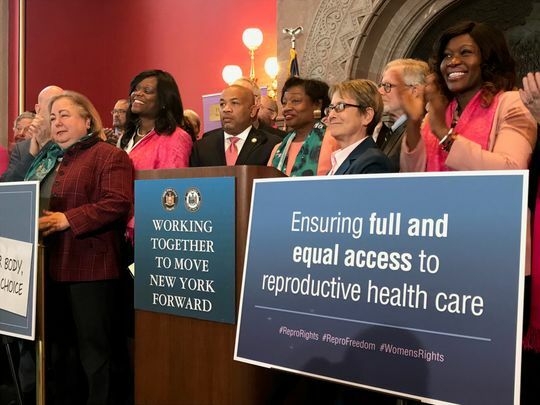 Just in January, the state of New York passed a bill that allowed abortion up until point of birth according to the New York State Senate website. In the state of Virginia, Democrats have proposed multiple bills that also allow late term abortion as well. Now, the topic of abortion is a controversial topic and I do have my own viewpoints about this issue. I firmly believe that abortion can be debated up until a fetal heartbeat is detected. According to the Endowment for Human Endowment, a fetus’ heartbeat starts at around three weeks and one day after fertilization. I believe that after a heartbeat is detected, the fetus is a living organism, and the abortion of it is morally wrong. However, there is another side to this issue. Many stories come out about how women had to make the hard choice of an abortion as a result of financial, personal, and other factors. These stories are heartbreaking, and they believe that despite making such a decision, it was indeed the right one to make. According to The Conversation, women tend to get abortions as a result of timing, not being able to afford to have a child, relationship issues, having already grown children, and other issues. That is why the topic is such a difficult one to solve because it is not just a “black and white” issue. However, the modern political left has gone too far with the abortion debate. I mentioned before how New York passed a bill legalizing late term abortion and how the state of Virginia is trying to the same. These bills allow women to abort their child very late into the third trimester and right before birth. This is way too far! According to the website My Dr., a baby’s organs are fully formed by 24 weeks. A baby has many of its vital organs such as its eyes, brain, and mouth as well as its limbs are all fully formed. As a result, a child in the third trimester which starts at around 28 weeks, would already have fully formed organs and would only be growing in size. According to the Charles Lozier institute, unborn babies can feel pain by 20 weeks. As a result, an unborn fetus can feel pain as it is aborted. A baby can feel pain as early as the second trimester, so an abortion into the third trimester is immoral and wrong. According to Babymed.com, a fetus is viable or can live outside of the womb starting at 24 weeks. This means that this fetus can live perfectly outside in the world and not in the womb. To consider aborting fetus that is viable is morally wrong and I believe it is murder. A fetus has all organs fully formed, can feel pain, and is viable by the second trimester. To even consider making abortion legal well into the third trimester is deeply immoral and wrong! By the third trimester, we cannot consider it just a “cluster of cells” or still just a fetus, but it is a child and a human being. There is a debate on abortion where both sides have valid points before the second trimester where the baby is not fully formed nor able to feel pain and be viable. However, by the third trimester of a pregnancy, legalizing abortion then is too late and immoral. If you see the fetus in the third trimester, it is literally a full grown baby. It has all the features of a human child and is alive. Its organs are functioning, heart is beating, brain is working, hearing the mother’s voice, and can feel pain. We as a nation are better, and abortion this late is too far and immoral. The political left need to stop this insanity and need to stop supporting such extreme measures.